An İstanbul court has started an extradition proceedings for Arif Erdem, a retired Turkish international footballer of Albanian descent and the former manager of İstanbul Büyükşehir Belediyespor, on terror and coup charges, several Turkish media outlets reported. Erdem is currenlty being sought by the Turkish government and faces a possible 15-year prison sentence in Turkey for alleged membership of the Gülen movement, which is accused of masterminding the coup attempt of July 15, 2016. The İstanbul 23rd High Criminal court earlier issued a detention warrant for Mr. Erdem who, according to Turkish media, left Turkey days after the coup attempt by driving into Greece from Turkey via the Ipsala border crossing. Erdem is one of several Turkish footballers allegedly involved with the movement, which the Turkish government classifies as a terrorist organisation. 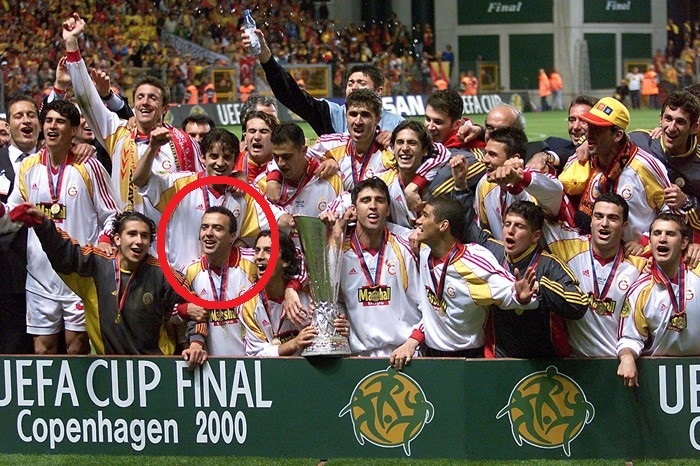 Arif won seven Süper Lig titles and five Turkish Cup titles, as well as the UEFA Cup in 2000 during his 14 years with İstanbul’s Galatasaray. He also played for Turkey national football team that finished third at the 2002 FIFA World Cup.